Welcome to the Missouri Louis Stokes Alliance for Minority Participation (MOLSAMP) website. MOLSAMP is a collaborative effort sustained by a coalition of seven public universities, one private university, and one community college to significantly increase the number of underrepresented minority students, (URM) statewide who complete undergraduate and advanced degrees in science, technology, engineering, and mathematics, (STEM) fields. This goal will be accomplished through the implementation of a variety of activities and cohesiveness among the individual campuses to promote recruitment, retention and graduation of URM students. The Louis Stokes Alliances for Minority Participation (LSAMP) is an NSF sponsored program designed to broaden participation in science, technology, engineering, and technology (STEM) disciplines and increase the number of students receiving baccalaureate degrees and ultimately graduate degrees in STEM disciplines. 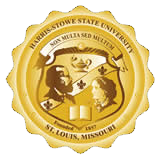 Harris-Stowe State University is one of eight colleges and universities to receive a five-year grant from MOLSAMP, which represents one of forty-one such programs sponsored by the National Science Foundation (NSF). Click here to view Freshmen Doing Research: Broadening Participation, the video received the Facilitators' Choice recognition! Congratulations! See these outstanding students enrolled in introductory biology laboratory class which includes many of our MOLSAMP STEM students giving their insight!